For larger mammals the best time to visit Katavi National Park is in the dry season between June and October. As a simple rule, the drier it gets, the fewer places there are for the game to drink and the more the animals congregate around remaining water sources. Of course this makes life much easier for lions and other predators as they simply have to hide in a bush near such a water source and try not to fall asleep. For avid birders the long rains are the best time to visit, between February and April. 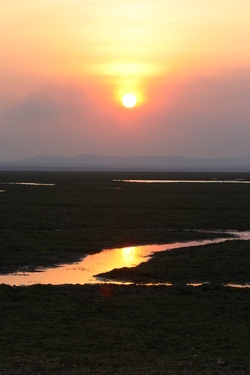 Many birds on migration routes visit Katavi during this time.